From hokey to haute couture, wedding dresses on film have run the gamut and continually provide inspiration to millions of brides every year. 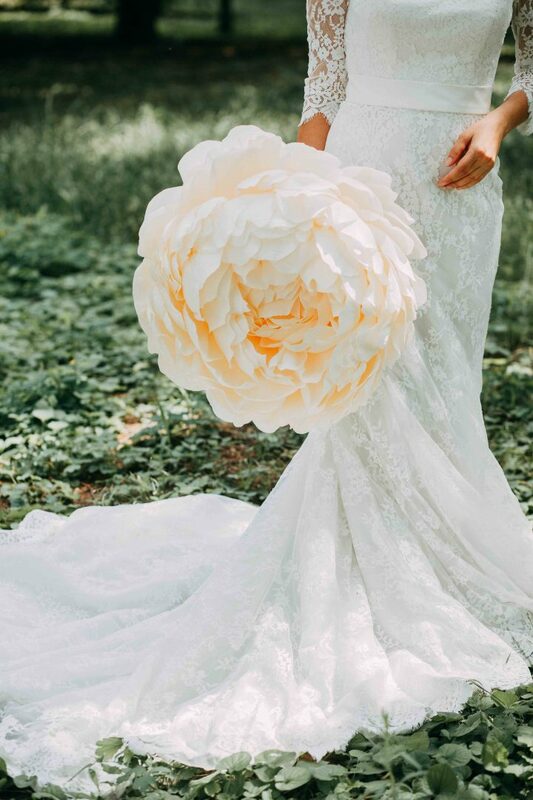 While it’s hard to whittle down the most iconic to a 10-best list, here are the favorites that have made us cry, cringe, and commend our favorite movie brides and their happily-ever-afters. Simon & Garfunkel said it best: Here’s to you Mrs. Robinson…and your beautiful daughter Elaine! We all know Benjamin Braddock finally got the girl, but it wasn’t before she faced her big day like any respectable daughter of a hometown business owner should. Sometimes, love takes over and, well, it’s a good thing you can run in a dress. Perhaps the most talked about wedding from tweens to Grandma Jean—other than the Royal Wedding—was Bella’s vows to Edward in “Twilight: Breaking Dawn Part 1,” which made an otherwise fantasy film an instant classic take on bridal fashion. And the bride wore Carolina Herrera. Need we say more…? Julia Roberts has starred in her share of nuptials-themed movies, and as difficult as it was to choose just one for this countdown, her dress in “Steel Magnolias” remains one of our favorite classic 80s wedding gowns. The final scene in “In Her Shoes” was touching for many reasons—the intimate restaurant setting, the family-comes-first-vibe, and of course, Cameron Diaz’s character’s reading of E.E. Cummings “I carry your heart” for her sister Rose, played by Toni Colette. But it was Rose, in the white lace stunner and no veil, that carried us away. 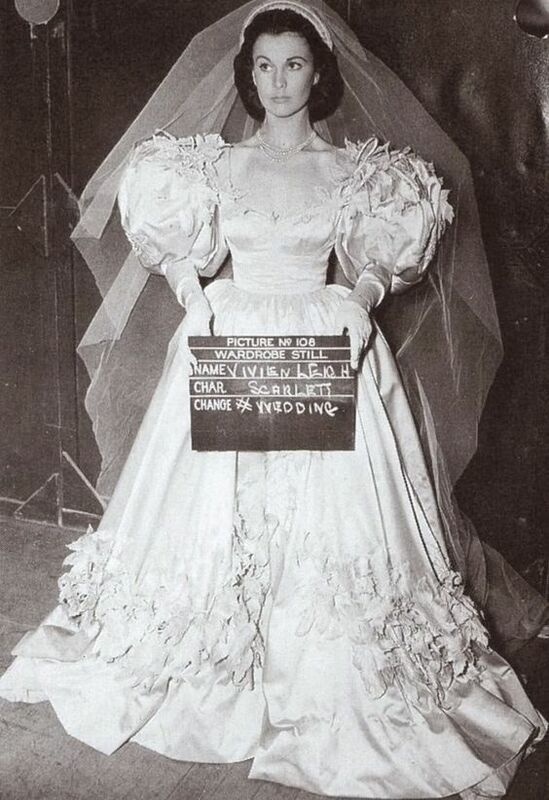 If any gown in “Gone With the Wind” could trump the curtain couture Scarlett O’Hara donned in this Southern classic, it’s the dress she wore to marry Charles Hamilton. And while the marriage didn’t last long, the frock was one for the record books for its width and volume. “Bridesmaids” has become an iconic move in its own right, but it tapped into the epitome of sartorial snark when Lillian finally put on her Helen-approved weddingwear to a ruffle (no pun intended) of laughter. While the dress may have come from Paris, it didn’t make it a good choice—and Lillian thankfully agreed. Bottom line: Friends don’t let friends wear a Fritz. Sneakers paired with skirts are having a big runway moment. But few times have they been put into a more formal setting than when Annie chose to take the aisle in white lace trainers in “Father of the Bride,” adding a fashion-forward (and meaningful) touch to an otherwise traditional take on the big day. There are few films that present high fashion better than the iconic HBO series’ first movie, when Carrie takes to the pages of Vogue (pre-marital meltdown!) in couture. Luckily, in the end, Carrie found something that suits her a tad better. No other dress to date has sparkled brighter than Cinderella’s. All hail the bustled bride who gave the world the term “Cinderella moment” with nothing more than a pumpkin, a pump, and a prince. It truly doesn’t get more “happily ever after” than this. Browse wedding gowns fit for Hollywood royalty on Lover.ly!